If you're like me, you don't care for traditional thimbles. I love these leather thimble pads. 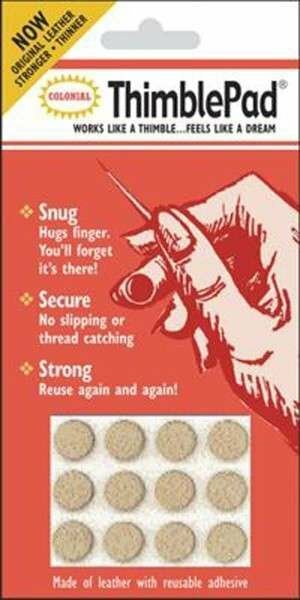 The stick to your finger just where you want them and protect your finger without the bulk of traditional thimbles. Generally, one thimble pad can be used several times before it losing the ability to stick. You'll most definitely wonder how you got along without them!